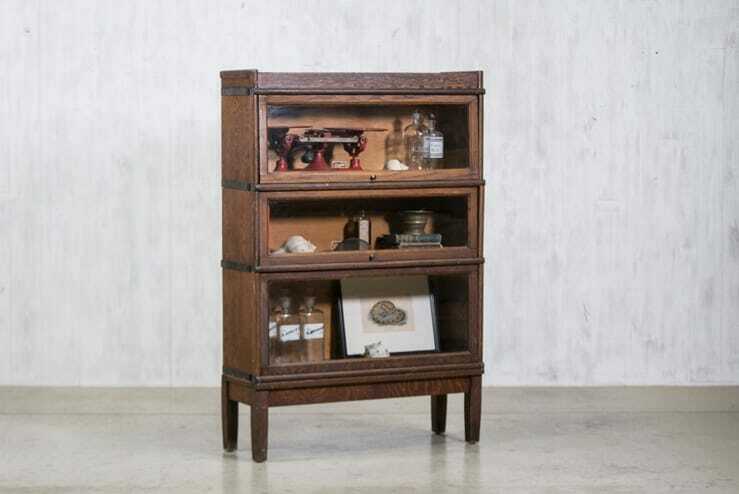 Three-stack oak barrister bookshelf with receding glass doors. 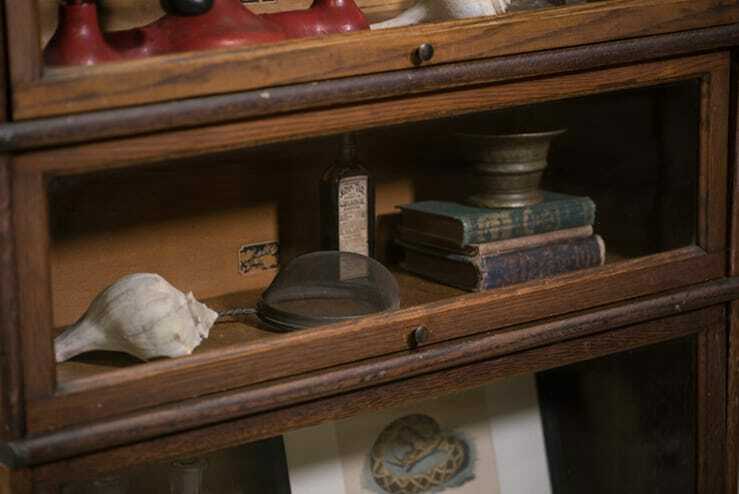 Each section stacks on top of the next with a simple interlocking system. 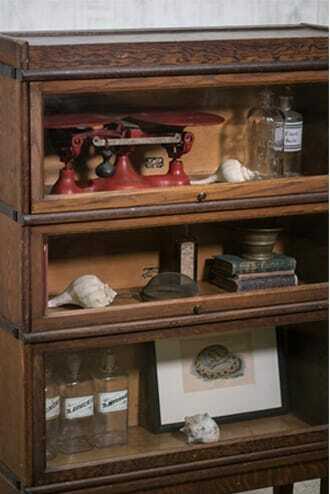 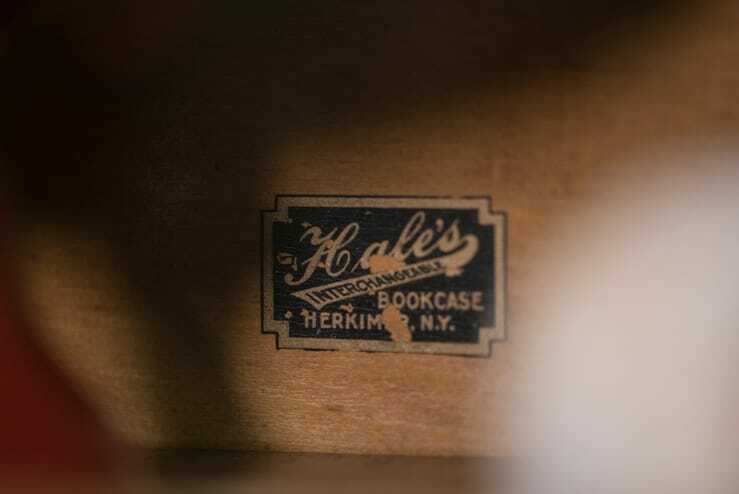 Manufacturer’s mark reads, “Hale’s Interchangeable Bookcase, Herkimer, N.Y.” Founded in 1907 and based in Upstate New York, the company continues to create heirloom-quality bookcases.